Dacota Dallas Purcell with her parents Mary and Keith on her baptism day. Rhys Thomas Patrick Clancy with his parents Cecilia and Christy and his sister Alanna on his baptism day. Megan Louise Kelly with their parents Audrey and Gerard and her brothers on her baptism day. Sam Kate Collins with her parents on her baptism day. Sophie Mia Pio Doohan with her parents Diane and Kieran on her baptism day. Alex James Michael with his parents Linda and Edward on his baptism day. Noel Gerard Kelly with his parents Helen and Kevin, on his baptism day, 27 December, 2015. Claudia Ann Neenan with her parents Katie and Kieran on her baptism day. Rúan Francisco Pio Casey with is parents Ruth and Enda on his baptism day. Aoibheann Catherine Fitzgerald on her baptism day. Ross Lorcan Mulconry with his parents Monica and Robert on his baptism day. Joshua-Robin Creaven with his parents on his baptism day. Finn O’Donnell with his parents Katie and Joseph on his baptism day. Patrick Michael Thomas Casey with his parents and Fr Michael O’Grady on his baptism day. We welcome Noel Gerard Kelly into the Christian family. Noel was baptised on 27 December, 2015 in St Michael’s Church, Kildysart. We congratulate his parents Helen and Kevin, Boultydoolin and pray that the Lord may always guide and protect the family. We welcome Lorcan Ross Mulconry into the Christian family. Lorcan was baptised on 20 December, 2015 in St Michael’s Church, Kildysart. We congratulate his parents Monica and Robert, Cahercon and pray that the Lord may always guide and protect the family. We welcome Claudia Ann Neenan into the Christian family. Claudia was baptised on 5 December, 2015 in St Michael’s Church, Kildysart. We congratulate her parents Katie and Kieran, Dun Gleanna and pray that the Lord may always guide and protect her. We welcome Hailey Grace O’Donoghue into the Christian family. Hailey was baptised on 14 November, 2015 in St Michael’s Church, Kildysart. We congratulate her parents and pray that the Lord may always guide and protect her. We welcome Aoibheann Catherine Fitzgerald into the Christian family. Aoibheann was baptised on 24 October, 2015 in St Michael’s Church, Kildysart. We congratulate her parents Geraldine and Niall, Ascaill Cuill and pray that the Lord may always guide and protect them. We welcome Naoimi Amy Clancy into the Chrisitian family. 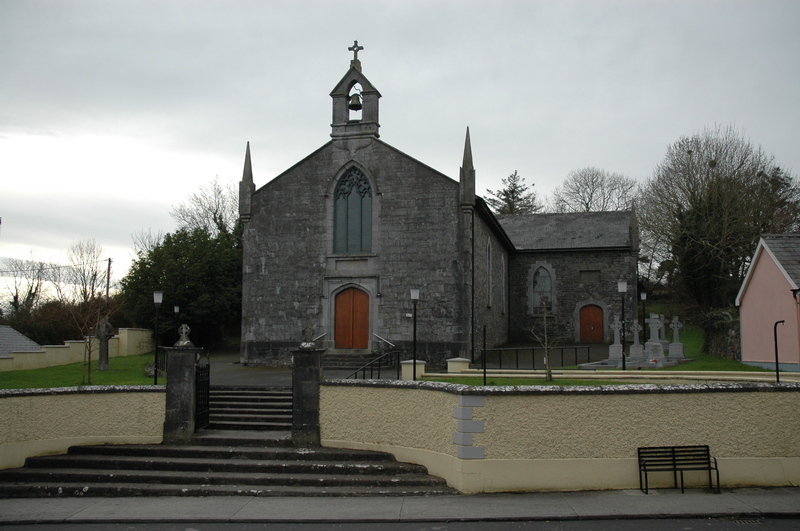 Naoimi was baptised on 10 October, 2015 in St Michael’s Church, Kildysart. We congratulate her parents Mary and Thomas, Cluain Chormaic and pray that the Lord may always guide and protect them. We welcome Evan Michael Hogan into the Chrisitian family. Evan was baptised on 26 September, 2015 in St Michael’s Church, Kildysart. We congratulate his parents Karen and Michael, Quay Road and pray that the Lord may always guide and protect them. We welcome Louisa Rose Sinnott into the Chrisitian family. Louisa was baptised on 30 August, 2015 in St Michael’s Church, Kildysart. We congratulate her parents Joanne and Seamus, Crovraghan and pray that the Lord may always guide and protect them. We welcome Ciara Casey into the Chrisitian family. Ciara was baptised on 29 August, 2015 in St Michael’s Church, Kildysart. We congratulate her parents Caroline and Denis, Ascail Cuil and pray that the Lord may always guide and protect them. We welcome Patrick Michael Thomas Casey into the Christian family. Patrick was baptised on Saturday 15 August 2015 in St Michael’s Church, Kildysart. We congratulate his parents Alisha and Adrian, Ennis Road and pray that the Lord will always bless their family. We welcome Rhys Thomas Patrick Clancy into the Christian family. Rhys was baptised on Saturday 8 August 2015 in St Michael’s Church, Kildysart. We congratulate his parents Cecilia and Christy, Ard na Gla and pray that the Lord will always bless their family. Pray for Michael (Micko) King, Tonlegee who died on 24 December, 2015. We pray that the Lord may grant him eternal rest and console Anna, his wife, his sons Michael and Noel, his daughters Breeda and Patricia, sisters Sally, Bridie grandchildren nephews, nieces, relatives, neighbours and friends. Micko will repose at Christ the King Church, Ballycorick on Monday from 5pm to 7pm. His funeral Mass will be celebrated at 12noon on Tuesday followed by burial in Kilchreest cemetery. 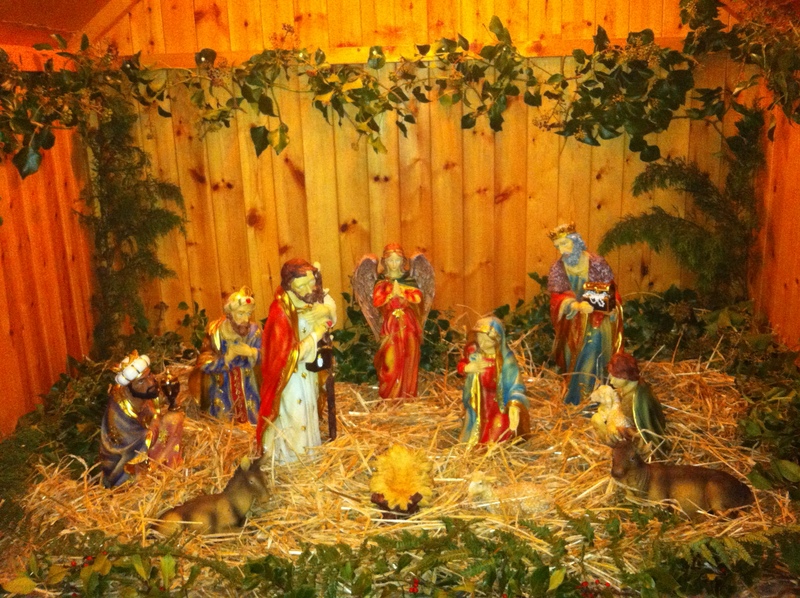 Pray for Nora Fogerty (nee Cleary) formerly of Clonola, Killadysert, Co Clare and Dublin who died on Christmas Eve. We pray that the Lord may take Nora to himself and console her children Michael, Patricia, John and James, her grandchildren, great grandchildren, relatives, family, neighbours and friends. Nora will repose at her home on Tuesday from 4pm until 8pm. Removal on Wednesday morning to the Church of the Annunciation, Finglas West, arriving at 9.50am for 10am funeral Mass followed by burial in Glasnevin. You are asked to remember in your prayer Mary McGolderick, Gortglass who died on 18 December, 2015. 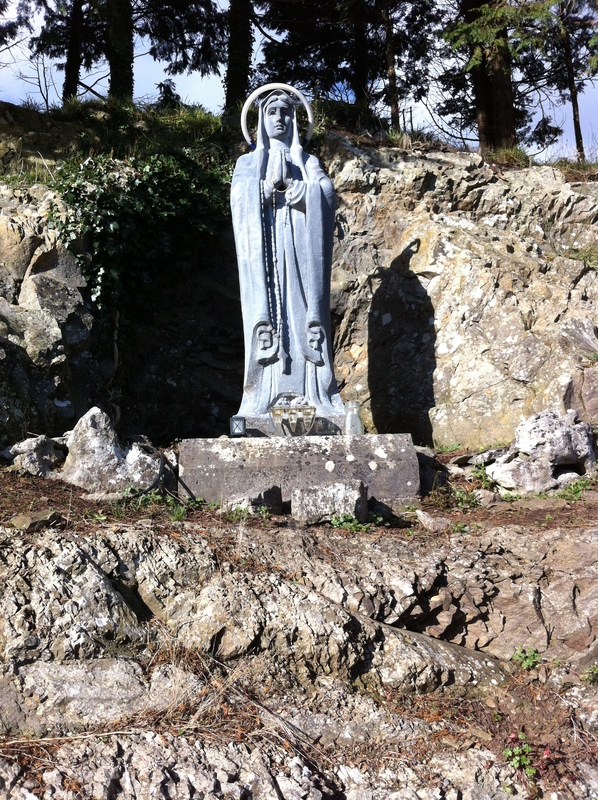 Mary will repose in St Michael’s Church, Kildysart on Saturday evening from 6pm until 8pm. Her funeral Mass will be celebrated on Sunday at 11am followed by burial in Ballyea. May the Lord grant her eternal rest and console John her husband, her sisters Mona, Joan, Evelyn & Peggy, her nephews, nieces, relatives, neighbours and friends and all who mourn her. Mary’s months mind Mass will be celebrated in St Michael’s Church, Kildysart on Sunday, 24 January at 11am. Pray for Patrick Murphy late of Tonyglee who died recently in London. Pray for Des McAuley, Newmarket on Fergus who died on 12 November, 2015. Des will repose at Mc Mahon’s Funeral Home Newmarket-On-Fergus this Saturday evening from 6.00 – 8.00pm. His funeral Mass will be celebrated on Sunday at 12.30pm in Newmarket-On-Fergus Church followed by burial in Lemanagh cemetery. We pray that the Lord will take Des to Himself and console his wife, his daughters Tara O’Shea (Kildysart) and Diane Doohan (Kildysart) and all who knew and loved him and mourn his passing. 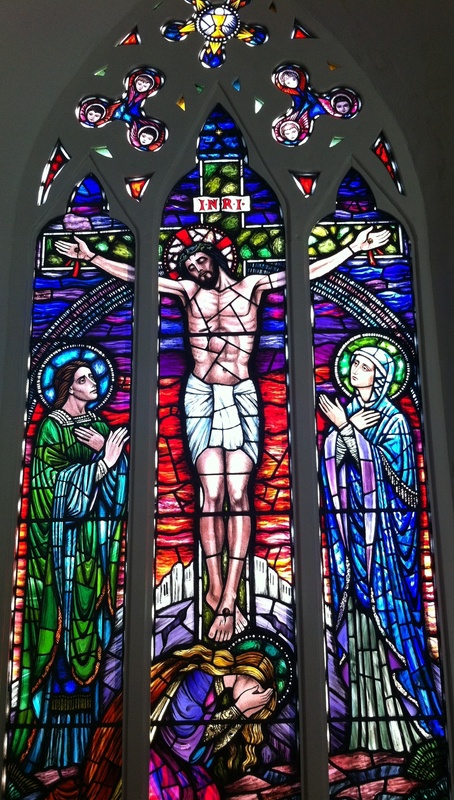 Pray for Michael Guerin, Ballymulcashel, Kilmurry who died on 9 November 2015. Michael will repose at St Michael’s Church, Kildysart from 6pm to 8pm on Thursday. His funeral Mass will be celebrated on Friday at 11am followed by burial afterwards in Kilcommon Cemetery, Co Tipperary. We pray that the Lord may take Michael to himself and console his daughter Lily (Kirrane) and all knew and loved him. Michael’s month’s mind Mass will be celebrated in St Michael’s Church, Kildysart on Sunday, 13 December at 11am. You are asked to pray for Teresa Deasy, Rosses Point, Sligo, mother of Emer Foley, Ennis Road who died on 3 October, 2015.May the Lord grant her eternal rest and console John, her husband, her family Irene, Brian, Colm and Emer and all who knew and loved her. You are asked to pray for Ned Connelly formerly of Main St, Kildysart who died recently in New Jersey, USA.May the Lord grant him eternal rest and console all who mourn him. We remember in prayer Brian and Maureen Meade who died recently in New Jersey, USA,relations of the Meade family, Craghera. Mass will be offered for Brian and Maureen at St Michael’s Church, Kildysart on Friday, 30 October at 8pm. The death has occurred of Sr Lelia Cleary, M.M.M., Beechgrove, Drogheda and formerly of Kildysart, Co. Clare, peacefully at the Medical Missionaries of Mary Convent on 19 October, 2015. Sr Lelia’s funeral Mass will be celebrated in M.M.M. Convent at 12 noon on Wednesday, followed by burial in St. Peter’s Cemetery. Sr Lelia is predeceased by her brothers Martin and PJ. We pray that Sr Lelia may be welcomed to the house of the Father and that the Lord will console her sisters Frances, Nora, Nan and Peggy, her brother James, her nieces, nephews, relatives, friends and her M.M.M. Community and all who mourn her. A month’s mind Mass will be offered for Sr Lelia at St Michael’s Church, Kildysart on Friday 20 November at 8pm. We remember in prayer Anne Bellchambers (nee McMahon) late of Canon Island who died in Sussex, England on 19 October, 2015. May the Lord grant her eternal rest and console all who knew and loved her. We remember in prayer Margaret Moloney, late of Shanaheamore, who died on 10 October, 2015. Margaret will repose at St Michael’s Church, Kildysart from 6pm to 8pm on Monday. Her funeral Mass will be celebrated on Tuesday at 11am followed by burial in Kilfiddane. May the Lord grant Margaret eternal rest and console Michael, Patrick & Declan and daughter Máiréad, brother Martin, sister Mary, daughter in law Georgina, son in law Senan, granddaughter Claire, sister in law Peggy and all who mourn her. We remember in prayer Patrick Killeen, Liscormack, Kildysart and formerly of Killeen’s Shop, Mullagh Village. Patrick will repose at his residence in Liscormack this Thursday evening, 8 October, from 5pm until 7pm. His remains will arrive at St Marys Church, Mullagh on Friday for 12 noon Mass. Burial afterwards in the adjoining extension cemetery. We pray that the Lord will take him to himself and console Eliz, his wife, his sons Paul and Sean, daughter Ann, his mother Margaret, brothers Kevin and John, sisters Frances (Redmond), Margaret-Ann and Bernadette Killeen, relatives and friends. We remember in prayer Nancy Roughan (nee McMahon), Sussex, England and formerly of The Quay Road, who died recently. May the Lord grant Nancy eternal rest and console all who mourn her. You are asked to pray for the happy repose of Mary Keane (nee McInerney), Clonsnaghta who died on 14 September 2015. Mary will repose at St Michael’s Church, Kildysart from 6.30pm to 8.30pm on Tuesday. Her funeral Mass will be celebrated on Wednesday at 12 noon, followed by burial in Kildysart cemetery. May the Lord grant Mary eternal rest and console her family Pat, Mary, Tom, Kathleen, Liza, Biddy and Paul, her brother Martin, sons in law, daughters in law, sisters in law Susan Mc Inerney and Margaret Meaney, grandchildren and great grandchildren and all who mourn her. Mary’s months mind Mass will be celebrated in St Michael’s Church, Kildysart on Sunday 18 October at 11am. Pope Francis has declared a Holy Year dedicated to the theme of mercy which begins on the feast of the Immaculate Conception (8 December, 2015) and concludes on the feast of Christ the King (20 November, 2016). The Diocese has invited Fr Dermot Ryan, St Kieran’s College, Kilkenny to introduce us to the year. He will give a talk entitled ‘Pope Francis and Mercy – A worldly weakness, a Christian Strength’ at St Flannan’s College, Ennis on Monday 14 December at 8pm. All welcome. Celebrating the sacrament of reconciliation which Pope Francis describes as the sacrament of mercy. Tuesday 8 December is the feast of the Immaculate Conception of the Blessed Virgin Mary. It is a Holy Day of Obligation. St Benedict’s Church, Coolmeen at 7pm. St Michael’s Church, Kildysart at 11am.